Philosophy has so many products on clearance right now. I bought 2 Gingerbread Man Salt Body Scrub for $12.50 each. I also used the free shipping coupon code THANKS and stacked it with a $5 off coupon code JAN5OFF25. They retail for $25 each, but with the sale and coupons, I paid $10 each. Whooohooo!! I already have the Bake Shoppe, the Cook Book 4pc Set, Gingerbread Shower Gel, Falling in Love Shower Gel and Cinnamon Buns Shower Gel, which should last me for the entire year. 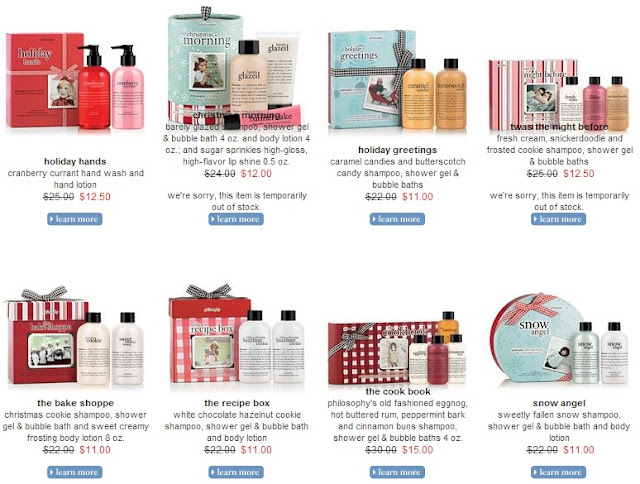 ^_^ (I went a little crazy during Philosophy's 30% OFF sale and Sephora's extra 20% OFF sale.) 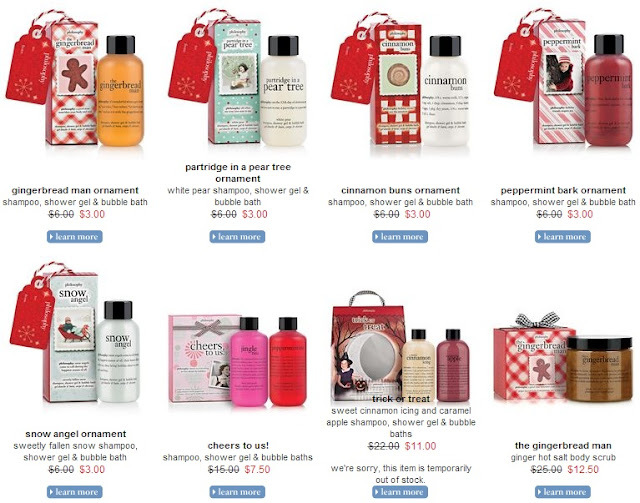 They all smell so delicious and lather beautifully when used with a loofah! I highly recommend checking out Philosophy's holiday sale section if you want to score some major deals, especially since shipping is free and coupons can be used.